Iglu Cruise have been going from strength to strength and due to our hard work to offer the best customer service, boasting a dedicated team of cruise experts and bringing you the best deals around, we have been presented with numerous travel awards. Simone Clark, Managing Director of Iglu said "We are delighted to win these awards as it shows that all of our hard work and dedication to offer the best customer service, expert advice and the best prices is paying off". Wave Awards 2019, Best Non-Retail Agent! Feefo Gold Trusted Service Award, Feefo- The 6th year in a row! Outstanding Achivement for Princess Cruises, Carnival UK Cruise Awards 2019 - One night, two awards, and testement to our teams' hard work thoughout the year. Overall Retailer of the Year, Carnival UK Cruise Awards 2019 - Fantastic to see all departments' efforts and achievements recognised. Top Cruise Specialist, Celebrity Cruises, 2019 - Our first award of 2019 and hopefully the first of many! Simone Clark, Outstanding Contribution to the Cruise Industry, CLIA Awards 2018 - Once again, it's great to see all Simone's work recognised throughout the world of cruise. Online Travel Agent of the Year, CLIA Awards, 2018 - A highly prestigious award we are honoured and delighted to accept which epitomises the team's dedication. UK Platinum Agent, Crystal Cruises Agent Achievement Awards - It's great to see our partnership with Crystal Cruises thrive. One of the Top Partners, Norwegian Cruise Line - Our sales and marketing efforts helped us to achieve this fantastic accolade. Outstanding Contribution to River Cruising, Margaret McCorriston, CLIA. 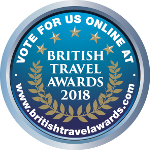 Best Cruise Online Travel Agent 2018, Wave Awards - We are so excited to have been selected for this fantastic award - a big thank you to all of our hard-working team. Online Agent of the Year 2018, Travel2 - We are so pleased to have won this fantastic achievement. Feefo Gold Trusted Service Award 2018, Feefo - We are truly grateful for this recognition and continue to put our customers needs first. Outstanding Contribution Award 2018, Holland America Line - We are so pleased to have been selected for this at the UK Cruise Awards. Outstanding Contribution Award 2018, Princess Cruises - Another trophy at the UK Cruise Awards, we are so happy to have achieved this recognition. Outstanding Contribution Award 2018- Simone Clark. Carnival Cruises - The third of three awards, we must thank Carnival for attributing this to Iglu, and of course for hosting the fantastic UK Cruise Awards event. Highy Commended 2018, Cunard Cruises - We are delighted to have been recognised for our efforts. Highy Commended 2018, P&O Cruises - A big thanks to the team for achieving this brilliant accolade. Best for Europe Sales, Azamara, 2018 - We are honoured to recieve this award. Protagonisti del Mare, Costa UK, 2018 - We are delighted to see our relationships with continental cruises continiue to grow. Protagonisti del Mare, Costa International 2018 - It's fantastic to see our recognistion expand globally. More than a Million Partner, Norwegian 2018 - an amazing milestone! Best Azamazing Campaign, Azamara 2017 - a big well done to all our teams. Best Overall Performance in 2017, Royal Caribbean - Thanks so much to our hard-working team and loyal customers for helping us to achieve this. Best Online Cruise Travel Agent 2017, Cruise International Awards - We are so proud to have achieved this award. Thank you to our brilliant and highly committed team. Top Agent for Scenic Waterways in the South, Scenic - We are delighted to have accomplished this award - a big thanks to our amazing team. Best Online Travel Agency 2017, Agent Achievement Awards - We are overjoyed to bring this award home to Iglu.com HQ for the third year in a row. Thanks to our hardworking and dedicated team, we are proud to be the best online agent! Cruise Specialist of the Year, Royal Caribbean - We are thrilled to hear that more Royal Caribbean customers book through us than any other cruise agency! A big thank you to the team at Royal Caribbean for their support. Highly Commended - Best Online Travel Agent 2017, WAVE Awards - We are so pleased to have placed highly commended in this category. Highly Commended - Passenger Favourite Cruise Agent 2017, WAVE Awards - Voted for by the public, we would like to thank our loyal customers for highly commending our agency. Travel Business Partner of the Year 2017, Carnival UK - An amazing achievement for us, it gives us great satisfaction to know that all of our hard work is noticed and appreciated by Carnival UK, whom we would like to thank very much for their continued support. Outstanding Contribution Award 2017, Princess Cruises - Winning two awards in one night at the UK Cruise Awards 2017, we are proud to have achieved the Oustanding Contribution Award and would like to thank Princess Cruises. Top Specialist Agent 2017, Celebrity Cruises - We are so pleased to have such loyal customers who book their Celebrity Cruises holiday through us time and time again, earning us top agent status, with more passengers booked through us than any other cruise agency. Online Travel Agent of the Year 2016, CLIA Cruise Awards - We are ecstatic to have won this award for the past 5 years in a row. This award is very special to us as it's voted for by our cruise line partners whom we would like to thank very much for their continued support in aiding us to be the best we can be. River Cruise Ambassador of the Year 2016, CLIA River Cruise Excellence Awards - We are thrilled for our River Cruise Product Manager, Margaret McCorriston, who's commitment to providing customers with the best river cruise booking experience possible has made her a worthy winner of this fantastic award. Best Agency 2016, MSC Cruises - We would like to thank our valued partners at MSC Cruises for their dedicated support & our loyal MSC Cruises customers who continue to book with Iglu Cruise each time. Crystal Cruises UK Platinum Agent Status, Crystal Cruises Awards - This a wonderful achievement for our team and we are very pleased to win this award for three consecutive years. Best Large Cruise Agent 2016, Agent Achievement Awards - We're so pleased to be able to bring this title home for the second year running. Our heartfelt thanks goes out to our dedicated cruise partners and loyal customers. 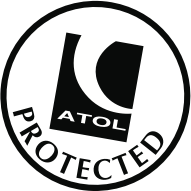 Best Online Agent 2016, Agent Achievement Awards - Winning this award for two years in a row is a great achievement and we continue to improve and refine our online service for our loyal and new customers. Best Call Centre 2016, TTG Top 50 Agents - We'd like to thank our dedicated call centre team for their consistent hard work and our loyal customers that have helped contribute to us winning this award. Best Cruise Agency 2016, TTG Top 50 Agents - A fantastic achievement for the team, thanks to everyone for their hard work and contribution to our success. Travel Employer of the Year 2016, WorkAdvisor - We are delighted to receive this recognition and Award from WorkAdvisor; we care passionately about the team and it’s important that they enjoy coming to work. I truly believe that we have the best team in the industry - Simone Clark Iglu MD. Best Travel Business 2016, UK Cruise Awards Carnival Group - We are honored to win this amazing award for the second consecutive year. Partnership Achievement Award 2016, Carnival Cruise Line - Thrilled to win this award and start off 2016 with a bang! Best Specialist Agent for Passengers 2016, Celebrity Cruises - We are delighted and honored to win this great achievement from our valued partners at Celebrity Cruises. Best Online Agent 2015, CLIA Cruise Excellence Awards - We are so pleased to bring this award home for the fourth consecutive year! Top Air Plus Agent 2015, Travel2 - Thank you to everyone for their hard work and dedication which helped us to win this award in Scotland this year. Best FIT Agent 2015, MSC Cruises - We would like to thank our loyal cruise customers and valued partners at MSC cruises for their continued support. Best AzAmazing Campaign 2015, Azamara Cruises - We are proud and honored to be the first agent to win this brand new award. Best Online Agency 2015, Agent Achievement Awards - We were absolutely delighted to be awarded Best Online Agency at this years Agent Achievement Awards. Best Large Agency 2015, Agent Achievement Awards - Winning Large Agency at this year’s Agent Achievement Awards is a true honour for us and we would like to extend our heartfelt thanks to our loyal customers for their continued support. Top UK Agent 2015, Princess Cruises - Awarded to us by Princess Cruises for our successful partnership with the Princess Cruises brand. Best UK Cruise Agent Growth 2015, Costa Cruises - Awarded to us by Costa Cruises for our successful growth and continuing partnership with Costa Cruises. Top Cruise Specialists for Guests 2015, Celebrity Cruises - Awarded to us by Celebrity Cruises for our continuing cruise expertise and partnership with Celebrity Cruises. Outstanding Contribution to Cruise Award 2015, Carnival Corporation - Very proud to win this special award at the 2015 UK Cruise Awards for our diverse marketing channels and continued effort to offer the best range of cruises to our customers. Outstanding Agent for 6 brands 2015, UK Cruise Awards - Awarded to us for our consistent and succesful partnerships with several top cruise lines. Outstanding Agent Princess Cruises 2015, UK Cruise Awards - Awarded to us by Princess Cruises for our honest and consistent approach to working with the Princess brand. Number One Partner Award, Royal Caribbean - Awarded to us for our continued partnerhsip and success with Royal Caribbean. Best Independent Cruise Agency, MSC Cruises - Awarded to us for being a top partner for MSC Cruises. Best Deals from a Cruise Company 2014, Travelzoo - Awarded to us by Travelzoo. 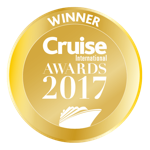 Best Online Cruise Agency 2014, CLIA - This is the third year we have won this prestigious award,voted by all cruise lines. Best Cruise Agent 2014, Cruise International - Voted for by readers of the online cruise magazine and cruise fans from around the country. We are proud to win this award for the third year, especially as it is voted by cruise customers. Cruise Sales and Excellence Award 2014, Amadeus - Awarded to us by Amadeus.